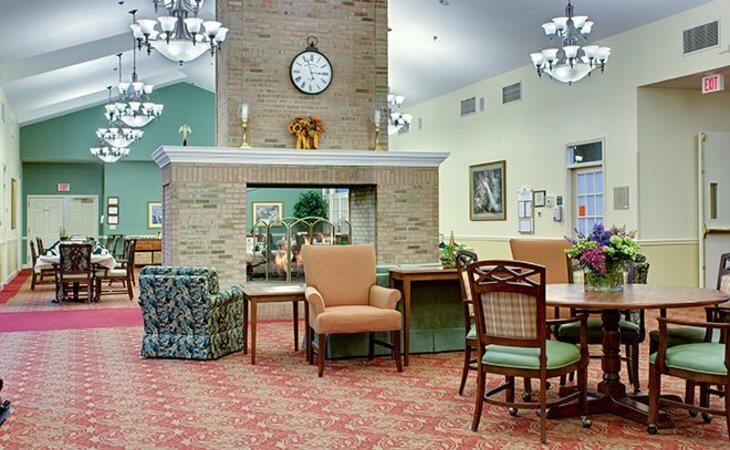 Families looking for assisted living in New Jersey (NJ) have a wide array of communities to choose from, since estimated that there are more than 30,000 assisted living communities serving seniors across the U.S., and over 262 statewide. The state is also home to a rapidly growing number of senior citizens, with adults over 65 making up an estimated 16 percent of the population. A resident in an assisted living community in New Jersey will pay $6,065 per month on average. As of 2018, our family advisors have helped more than 10,910 families in New Jersey find the right assisted living community. See more than 1,942 authentic verified reviews of assisted living communities across New Jersey from residents and their loved ones. Browse our comprehensive directory of more than 262 assisted living communities statewide for photos and information about amenities, costs and more. 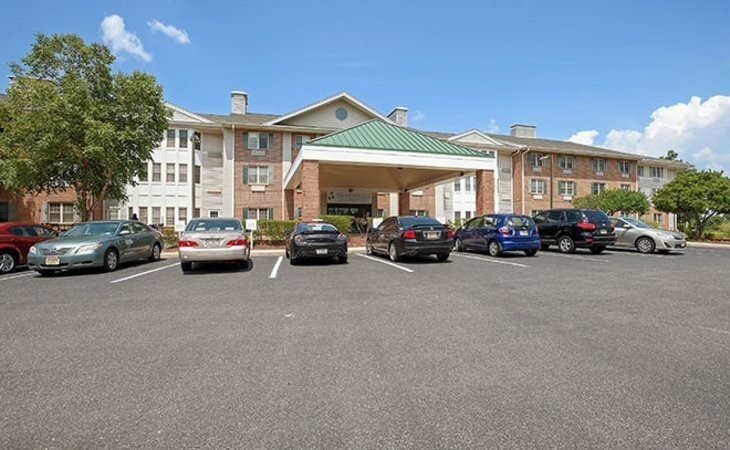 Genworth lists the average cost of a private, one bedroom unit in an assisted living community in New Jersey as $6,246. This places New Jersey on the higher end of the scale at about $2,200 over the national average, and about $1,500 higher than the median cost of assisted living in nearby states. 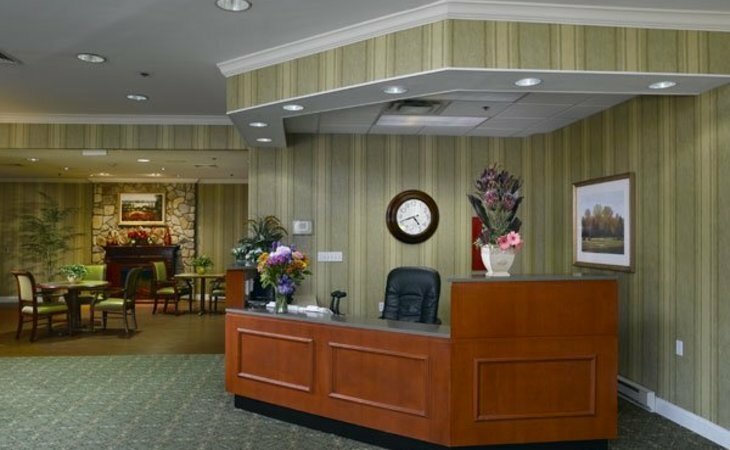 When estimating the cost of assisted living, it's important to know that average prices can differ significantly between various parts of New Jersey. The most affordable region in New Jersey for assisted living is Ocean City at $4,944. New Jersey offers high-quality care for seniors who require assistance with the activities of daily living by licensing assisted living residences (ALRs), which are built solely for this purpose and comprehensive personal care homes (CPCHs), which are converted residential boarding homes. While these communities provide a variety of amenities and resources, they are all required by law to maintain a high level of care and standard of living for residents. In New Jersey, seniors who meet certain income guidelines may be eligible for government assistance to pay for the cost of assisted living. Managed Long-Term Services and Supports, or MLTSS, is a managed care system under the Comprehensive Medicaid Waiver. This government subsidy program may help you pay for a broad array of supportive and health services, including assisted living. Some assisted living communities in New Jersey participate in and accept payment from this program to help fund a resident’s living expenses. Any New Jersey resident who is 65 and over and meets Medicaid’s income and total liquid assets requirements can apply for the program. Applicants must also meet the qualifications for the assisted living level of care, meaning that they require assistance with the activities of daily living. To apply for MLTSS benefits, contact your local County Welfare Agency or your local County Area Agency on Aging. NOTE: Not all assisted living communities in New Jersey participate in this program. It’s important to check with the assisted living community you’re considering to determine what forms of payment they accept, as well as any assistance programs they may offer to low-income residents. New Jersey offers numerous free resources for seniors and families who are looking for long-term care for their senior loved one. New Jersey is home to 21 county Area Agencies on Aging that develop service systems for adults who are 60 and over. Available services may include information and assistance, transportation, case management, respite care, visiting nurse and legal assistance, among other things. New Jersey has a network of Veterans Service Offices that help military veterans and their spouses find and pay for senior care. These services can also help veterans determine what services would be paid for by VA benefits they receive or are eligible to receive. New Jersey seniors can get assistance in understanding the benefits they receive, including their Supplemental Security Income benefit, which may be used to pay for assisted living. This program acts as an advocate on behalf of seniors living in assisted living communities. Seniors can report cases of abuse or neglect and receive assistance in understanding their rights as a resident in an assisted living community. About 30 days before a new resident moves in, the ALR or CPCH obtains a health history and assessment from the individual’s doctor and prior caregivers. The community’s RN performs another assessment shortly after move-in and uses the two records to create a service plan for the resident within 14 days. This plan contains a detailed workup of the residents needs and preferences. If a resident disagrees with the service plan or refuses certain types of assistance, the ALR or CPCH may insist upon a risk agreement to guard against injury or damage suits, while still respecting the senior’s decisions. New Jersey’s ALRs and CPCHs are willing to accept residents with a variety of health conditions and disabilities. They do not admit individuals who are in a vegetative state or are completely incapable of responding to their surroundings or providing any independent feedback. They also may serve terminally ill seniors without a supportive home environment. ALRs and CPCHs meet their residents needs by providing assistance with daily living activities, performing nursing services and either assisting with medication self-administration or administering medication directly through trained staff members. They also supply social support through scheduled activities, recreation and transportation. New Jersey has a optional state supplement (OSS) for individuals who receive supplemental security income (SSI) and a capped room and board rate for medicaid eligible seniors. Apartment-style units are required in ALRs and must include a private bath, kitchenette, and a lockable door. There may be no more than two residents per unit. CPCHs also need a lockable door but they do not need to be equipped with a bathroom or kitchen and the unit may be shared by two individuals. ALRs and CPCHs must provide three meals each day, plus snacks and beverages based on the Food and Nutrition Board's current dietary allowances. Menus must accommodate cultural backgrounds, food habits, personal preferences and dietary needs and restrictions. The communities are required to ensure that each resident can avail themselves of the food services. Assisted living communities are able to provide assistance and supervision with self-administered medications through trained staff members. Medications can be administered by certified nurse aides, certified home health aides or staff members with equivalent training and certification provided by the Department of Health under the direction of an RN. The community is required to use a unit-of-use/unit dose drug distribution system when the medication is administered by anyone other than an RN. Assisted living communities with 60 or more beds are required to have a full-time administrator or acting administrator on site 24 hours a day. Communities with fewer than 60 beds must have an administrator on site 12 hours a day. A registered nurse must be on staff or on call 24 hours a day. There must be a food services coordinator who is either a dietitian or receives scheduled consultation from a dietitian. These communities must also have personal care assistants who are certified nurse aides, certified homemaker/home health aides or have passed a training course. There are no minimum ratios in New Jersey. However, there has to be at least one awake personal care assistance and one additional staff person on site at all times. Communities are required to ensure that they can provide basic resident care, assistance and supervision around the clock. Administrators are required by New Jersey law to complete a minimum of 30 hours of continuing education every three years. This training is to cover topics pertaining to assisted living as outlined and approved by the Department of Health and Senior Services. Personal care aides must receive training either before or upon employment on assisted living concepts, emergency procedures, infection control and prevention, resident rights, abuse and neglect and pain management. An additional 20 hours of continuing education should be completed every two years. Medication aides must take 10 hours of continuing education related to medication administration and elderly drug abuse every two years. Assisted living licensing regulations in New Jersey require that each staff member undergoes a fingerprint criminal background check. Communities are also required to make inquiries to the New Jersey Certified Nurse Aide Registry before hiring a job candidate. New Jersey takes elder abuse very seriously and the Department of Human Services supplies contact information for adult protective service providers including toll-free phone numbers. In addition, the State Department of Health provides the means to register a complaint about a health-care community by phone or mail.